Leukotape K supports sensory functions. Wave pattern adhesive allows air to circulate and full mobility is preserved. It is stretchable, works ideally with the skin's natural elasticity. It has a protective liner for better handling. 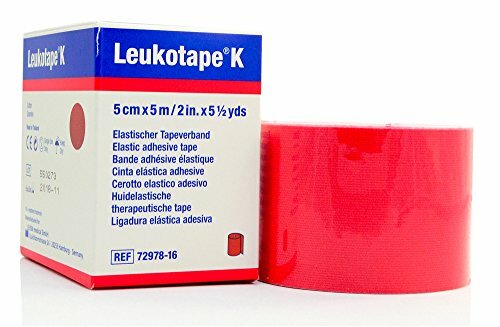 Leukotape K has a Polyacrylate adhesive for reliable adhesion, while the backing material of cotton is hard wearing and skin friendly.